Mary-Dell Chilton, Ph.D., has had a revolutionary impact on plant science. In 1977, when she was a research faculty member at the University of Washington in Seattle, she led an interdepartmental team that proved the microbe causing crown gall disease in plants develops a way to transfer a part of its DNA to the gall cells, which causes them to grow. Several years later, when she was an associate professor in the Biology Department at Washington University in St. Louis, she and a new team developed a way to exploit this process. Working with Professor Andrew Binns, Ph.D., at the University of Pennsylvania, they produced the first transgenic—now called genetically modified (GM)—plant. This work pioneered the field of agricultural biotechnology and dramatically affected the way scientists conduct plant genetic research. Today, she is a distinguished science fellow at Syngenta. Her contributions to advancing plant biotechnology have made a lasting impact on the global agriculture industry. Friends and colleagues sometimes call her the “Queen of Agrobacterium,” although she good-humoredly denies any such claims to royalty and prefers to think of herself as a student of this natural process. Chilton began working at the legacy companies of Syngenta in 1983. Her research eventually resulted in improving the ability of plants to resist insects and diseases and tolerate extreme environmental conditions. 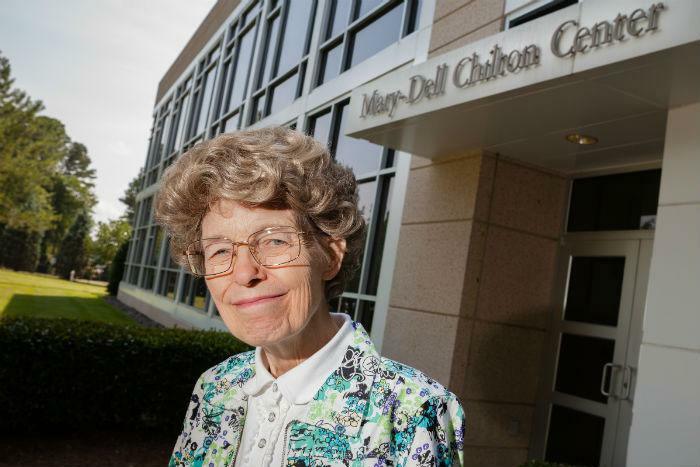 In honor of her many achievements, Syngenta created the Mary-Dell Chilton Center in 2002, an administrative and conference complex in Research Triangle Park, North Carolina. Chilton is also the author of more than 100 scientific publications. Over the past few years, Chilton has received several prestigious awards for her groundbreaking research that produced the first transgenic plant. The U.S. Department of Agriculture (USDA) recently inducted Chilton into its Hall of Heroes. A plaque in the entry hall of the USDA federal building in Washington, D.C., serves as permanent tribute to her. She also was inaugurated into the 2015 National Inventors Hall of Fame (NIHF). All NIHF inductees hold a U.S. patent and have changed the world through human, social and/or economic progress. Additionally, she is a 2013 World Food Prize Laureate, which is the foremost international award recognizing the achievements of individuals who have advanced human development by improving the quality, quantity or availability of food. Share how your agricultural roots are helping you, your family and your community thrive and you might win a prize.